In 2012, I had a severe infestation of fleas. Both of my cats died in September. Although I can't prove it was solely from the fleas, I know it contributed to them dying. I can't even recall the first time I saw a flea, as this was the first time I had ever had them. Both of my cats were kept inside, which is another mystery of how we had them so badly. My one cat, Santapaws, was an elderly stray with thyroid disease that was on medication for his illness and had already been weak—and the fleas exasperated him. My other cat, Naps, was also a stray I'd put at about 5 years old. Both of my cats were generally healthy, eating, playing, and happy before we got fleas. I later read that empty homes can house fleas in a dormant state. We had moved in December of 2011 to our current home. The fleas appeared in Spring of 2012. Both of my cats became extremely anemic, and it seemed that no matter what I did to kill the fleas, I just couldn't get rid of them. I lost both of my babies in September. On the 7th, I chose to put Santapaws down, because he was in need of blood transfusions (yes, he was that sick). And on the 17th, Naps died in my arms from what appeared to be a heart attack. Three vets told me he had most likely had an undetected heart condition known as Hypertrophic Cardiomyopathy. I'm writing this article to hopefully prevent this from happening to someone else, their family, and most of all, beloved pets. I have both of my cats buried in our backyard, and I've been thankful to keep them with us, if only on the property. But I miss them daily and the memories of how they went haunts me. And I hope to prevent this for others. I vow to never have fleas the way I did before, ever again. For my situation, I did call a few local pest control companies. But first, I did a little research on how they get rid of fleas. After my research, I determined that it was not necessary for me to pay for professional help, especially since they wanted a minimum of $75 per treatment. If you follow my advice, you will not need to get professional help. The most important thing, however, is to follow through on the suggested treatments for a minimum of three months! It will be a lot of work, but you know what they say: time or money. Sure you can pay someone to do it, but they won't care about the results the way you will. Flea Collars: Inexpensive, but they do not work. They cannot safely prevent or help an animal that is the host of a flea. Flea collars can be dangerous for cats. If they are not put on correctly, the animal can snag or hurt itself trying to get the collar off, choke, and possibly suffocate. They also have medication on the collar that can be toxic to your cat or dog. A flea collar does have one practical use, but more on that later. Flea Dips, Shampoos, and Skin Sprays: These are a waste of money and extremely toxic to cats. DO NOT BUY THEM! I cannot stress this enough! I personally think they should be removed from store shelves. This includes Hartz, Adams, and any knock-off or dollar store brand. Also, these chemicals are not interchangeable. What can be used on a dog cannot be used on a cat! You can unintentionally kill your pet. Household Flea Bombs: These are toxic as well and not safe for you or your pet. They can cause respiratory irritation to humans and pets and skin irritation. They also do not reach hidden corners and crevices of places that fleas like to hide and lay eggs. 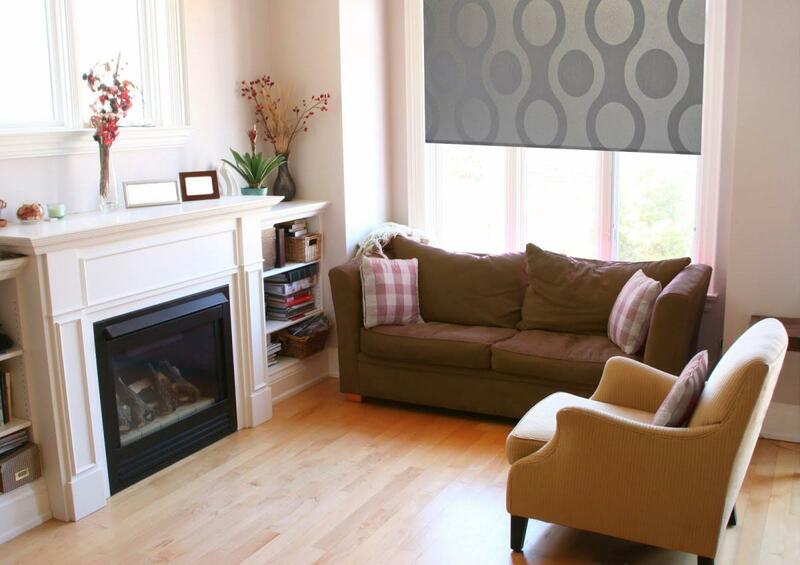 They distribute unevenly throughout your home, making even square footage coverage useless. Generic Topical Solutions: These are the squeeze tubes you find at a discount store for flea treatment. They don't work and are toxic! There are brands that work, which I will mention further on. But one thing you have to keep in mind is that you CANNOT give these to your cats in less than 30-day intervals, because these are chemicals and can hurt your pet if they are not given correctly. They can potentially kill your pet. So What Does Work for Flea Infestations? Because of how a flea's life cycle works, it is important to follow these suggestions for a minimum of 90 days. I know that is a pain, believe me, I've been there. But it is imperative to stop their breeding cycle. In some horrific situations, this may take longer (such as my sad situation did). The most important thing to do is treat your animals first! They are the preferred host of a flea and are probably suffering immensely. It is also advisable to follow a flea program during the times of year fleas are active: spring–fall. Wash your pet gently and calmly with liquid dish soap. (Dawn only.) This soap will suffocate a flea and not harm your pet. Wash around the neck, and follow back through the rest of the body of the pet as best you can. As you wash your pet, the fleas will try to relocate to dry land. Make sure you wash the inside of your pet's legs and hindquarters very well. Fleas like to hang out in this location. Do a really good job when rinsing your pet. Start again by rinsing their neck and working back. Do not be surprised if the water runs red from your pet. This is a sign of a flea basically drowning. As it drowns, it excretes the blood that is sucked out of your poor animal. It's very important to treat your pet first, because all the blood loss can cause anemia. Another medication to use for extreme situations is Capstar. This medication works to immediately kill fleas on the cat's body. Sentry makes a version of Capstar that is very affordable and works safely for cats and dogs. You can buy this on Amazon. Please keep in mind this is a medication and you need to follow it exactly to avoid harm to your pet. Consult your vet. Treat your pet with Advantage Plus. Yes it is a little pricey, but believe me, other stuff will not work and just wastes your money. Advantage Plus is applied to the space between the pets shoulder bones every 30 days. It is absorbed into their skin and will go into their bloodstream. It is also waterproof. When the flea tries to feed on your pet, it will be poisoned and die. Wash your clothes, rugs, towels, and bedding in the hottest water possible. Next, you need to vacuum. Take the flea collar you bought and cut it small enough pieces to fit inside your vacuum cleaner bag or container. You can also use food-grade Fossil Shell Flour. Also known as diatomaceous earth, this stuff actually slices the exoskeleton of a flea and kills it. 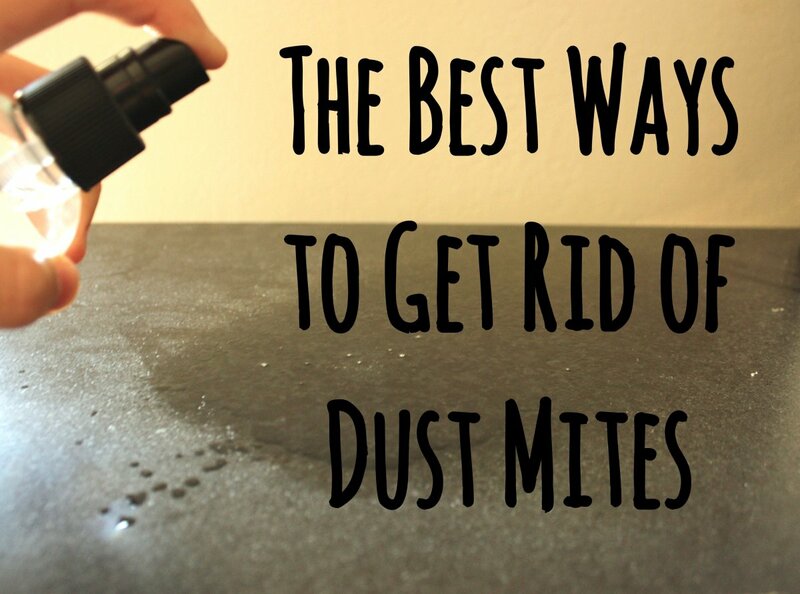 It can also be sprinkled throughout your home and applied directly to your pet's fur. This stuff is extremely safe, and you can use it as often as possible in place of medications for your pets. If you have a vacuum that is bagless, you will need to empty it after each use as far from your home as possible. Vacuuming is probably one of the best things in your arsenal against fleas. The vibrations from the cleaner cause flea eggs to hatch, and force fleas to come out of hiding. Vacuum anywhere your pets have been or like to spend time. This includes pet beds, furniture, carpet, everywhere. Vacuum any and all dark crevices in your home, along baseboards, in closets, in cupboards/cabinets, under beds, floorboards, air ducts, air vents, ceiling rafters, attics, and basements. Unfortunately, you will need to repeat this act at least three times a week for 90 days. Our home is 2640 sqare feet. I'd spend on average two to three hours vacuuming three times a week. It was awful, but it MUST be done. Next, prepare your Precor solution as directed, removing people and pets from your home. Also, contain any food that may be out. Spray the solution everywhere. All rooms, closets, cupboards, along with the floor, and around the exterior perimeter of your house. Lots of furry woodland creatures carry fleas, such as rabbits, squirrels, and deer. When spraying in your house, start in a room and work your way out. You may need to do this two times in 90 days, depending on how bad your situation is. This chemical is like bug birth control and prevents adults from being able to reproduce. It does not kill adults, that is what the other steps will do. Within 90 days, you should have your problem solved. After the first few treatments, you may continue to see fleas bouncing about. Even if you only are seeing one or two, you should not stop any of the above steps. Fleas multiply very quickly, so it's very important to continue to follow-through on all steps until you don't see any, not even one. 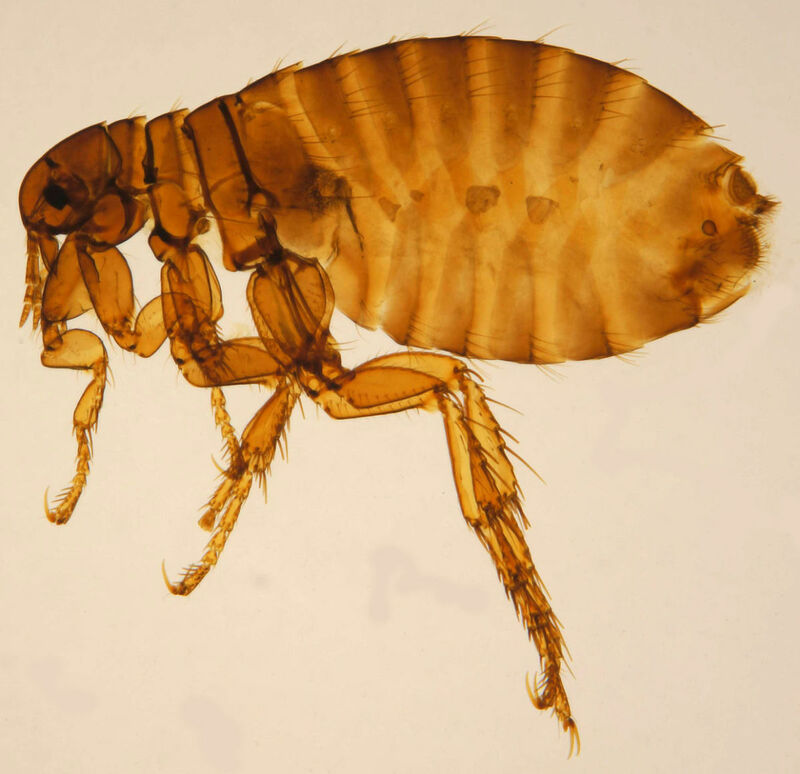 Have you ever had a flea infestation before? Hi Kate, I hope you can see this reply. Thank you for your kind words. I completely understand getting rid of the cats is not an option, they are like family. Yes keep treating the kitten for worms until they are gone. I use fossil shell powder for that (food grade). It will help kill the fleas also when brushed into their fur. It won't hurt the cats. As for the sofa, I'd vacuum the hell out of it and keep doing so. But the main thing you need for the fleas is the chemical that stops them from breeding. It's what an exterminator would use only they charge 5x as much. If you have a flea collar add that to the vacuum if you don't just put shell flour in that also. I know how awful it can be to get rid of these things, don't give up! Firstly, I'm so very sorry to hear about how you lost your cats. However, I'm SO very thankful you took your loss and chose to use it to help others. It's not only kind but very selfless of you to do so. I'm an adopter myself. Both of my cats were adopted. Our oldest cat, 11 or 12, despite being an indoor/outdoor cat, never had fleas, but our newest addition brought fleas and tapeworm into our home. I feel awful that I've used all the things you've listed not to use and will stop immediately. Our oldest cat is now infested as well. He's a very large (and by large I mean Huge tiger cat but we love him so much) and he's hard to bathe as he has so many rolls and a pouch of skin that just hangs under his belly. Our little guy, Socks, was given to us by a neighbor who was afraid for their rabbit once this curious kitten figured out how to get into the rabbit's cage. I had no idea I was taking on a kitten that had not only fleas but ringworm AND tapeworm. I've treated him for the worms but the tapeworm keeps coming back since I haven't conquered our flea problem. I'm a single mom to one very rambunctious 7 year old little boy and I'm struggling to keep up with the cost of all these flea treatments so I'm very grateful to read your advice. I've actually had people tell me the only way to get rid of the flea problem is to get rid of the cats! I understand to some people cats aren't like dogs but I chose to take these cats in and getting rid of them because of this problem is absolutely not an option. To me, that would be like putting my son up for adoption because he had a problem I didn't want to deal with. -should I continually treat the kitten for tapeworm even though the flea problem has yet to be solved? -I have a huge sectional couch that can't be moved without hiring a few strong men to come take it apart and move it. With as often as I vacuum, this isn't an option. Any suggestions? -Are you saying to buy the flea collar you mentioned solely to put in the vacuum cleaner? Again, thank you so much for sharing your experience in order to help others. This is the first article I've come across that's felt like it's directed towards my lifestyle! You're in my thoughts and I hope someday, when you're ready, you're able to give another cat a loving home because you certainly sound like the kind of pet parent that would do anything for her pets! I was able to get rid of ours entirely with what I wrote in the article. Also you may need to get your cat a blood transfusion :( The precor will stop the fleas from being able to breed. Try what I wrote in the article exactly. But you'll need to do it for 30-90 days to get rid of them. I have tried almost everything to get rid of fleas in my home and on my anemeic cat too, but nothing works. My grandmother cannot leave the house because she can bearly walk. My sick cat is only anemeic because of the fleas. My sister has two little ones also in the house. We've bombed, washed my cat in dawn dish soap, deep cleaned our house, ect. Can you please help me with this? We have 3 pets. 1 dog and 2 cats. We have tried everything. Finally foiumd salt and baking soda generously spread over our carpets has seen a drastic difference. Been waging war for 4 months now and since we started doing this we haven't been catching as many in our flea traps or see them so much on the animals. We are saving up to get the advantage for all animals (need 3 different ones) we have treated with our other topical treatments in the mean time. Did dawn baths once a week. The dog gets coconut oil (melted) mixed into his food every night. We will keep trucking on til December. After treating twice with the advantage we will hopefully finally have won. Eventually we will be getting rid of all the carpet in the house we are renting. I DO have a pet, check him out relentlessly -- never a bug in his 13 years so far. Until we moved into an apartment that the entire building -I feel- is infested with fleas. The complex will NOT treat the outdoor areas. They claim to spray halls once a month - I've yet to see that happen. I am on the second floor. While cleaning ceiling fan in bathroom, I found a dead one that had fallen from debris in the fan onto the vanity top. Great. So, I have somewhat sealed the forced air vents in the ceiling. Some with tape-and cheese cloth - in order to trap some to show management. My first mistake was NOT asking if the carpet was replaced after previous tenant moved out. It has not. There is still blue, green, pink paint marks here and there and you could see the table leg indents in the carpet in the Dining Room. Yech. The hallways are hot, and dark. If I walk out of my apartment and look onto my white socks - there they are. two, three - fleas on socks. No one really knows if they have fleas in this place. They are convinced the once a month - if they remember - treatment on pet is all they need to do. 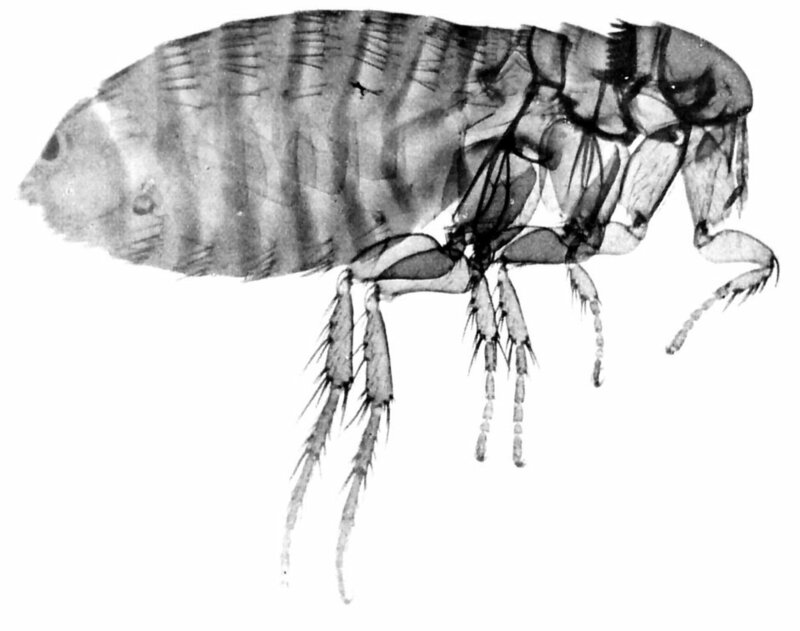 Fleas ARE STILL CAPABLE OF HITCHING A RIDE on their pups, cats, kids and ENTER THEIR HOMES!!! There is a youtube of fleas CRAWLING UP A WALL to get away from the pesticide. Yes. Crawling.UP A WALL! Yet I was told that they cannot crawl into an apartment. Hmmm....Can they fall from the above residence? Like thru a heat duct grill? Those vents are not exactly sealed tight. They are loose in the opening between MY ceiling and the flooring above. First you get the adult female to lay egg. Then larvae. Then pupa - some type of instar stages...then YOOHOO YIPPY more adults. I will never get rid of them. My dog is on NEW FRONTLINE GOLD - and CAPSTAR. I have had the carpeting professionally treated TWICE. I feed the dog small amounts of garlic. I spray him with herbal flea spray. Gave him a one time bath in DAWN dish soap and FIVE FLEAS were drowned. You must add a little soap to water if you want to KILL fleas. They will just jump off of the top of water. Add soap: they will wonderfully drown to death. I know way too much about fleas now. I am over 60 and this is the very first time this has ever happened to me. I have been a doggy mom for over 25 years. Yorkies, bichon, poodle...Family will NOT come over to my new place . I must keep vigilant about vacking the place and placing diatemaceous earth under bed/closets/sofas etc. wash bedding IN THE HOTTEST WATER and DRY ON HOTTEST SETTING!! God - this is the worst thing that could ever happen. The building is infested. The people are unawares. I carry my dog thru the building and outside. No grass. He must eliminate on CONCRETE. Then back up into flea hellonearth, we go. What is the next plan for attack? For what if the pupae are laying dormant from forever ago until some die and they know for sure they are gonna survive? How often do I need to have professional guy spray???? For can they not live in the pupa stage for over 100 days? Waiting. . . I hate my life. Alot. Alot alot. I am stuck in hell. Hello! My two cats have been victims to a flea infestation, and our house is over run with them, we bought Advantage Plus and applied it on our cats but days later we noticed no fleas died, we even friend another brand CarMD and it didnt work either! We keep cleaning the house and brushing our cats with the flea comb but we still find so many fleas every day! Please help, what should we do? I fear my mother is going to get rid of the cats to solve the problem. You can't use regular Garden Diatomaceous Earth in your home. It's toxic. You must use the FOOD GRADE Diatomaceous Earth which is safe for humans and pets to ingest. I'm battling fleas right now and it's a complete nightmare. Just wondered if you updated this page at any time? Reason being, I cannot find Advantage Plus and, the only flea collar that had the growth inhibitor on it was on Amazon for $250. The Earth stuff is actually Diatomaceous earth Ant & Crawling insect killer got from Tractor Supply Co.
We have a terrible case of fleas and bed bugs. Nothing seems to work long term. DE does not work at all, they crawl around in it. Sprays, pills, Dawn, collars, shampoo, vacuuming daily! Nothing! 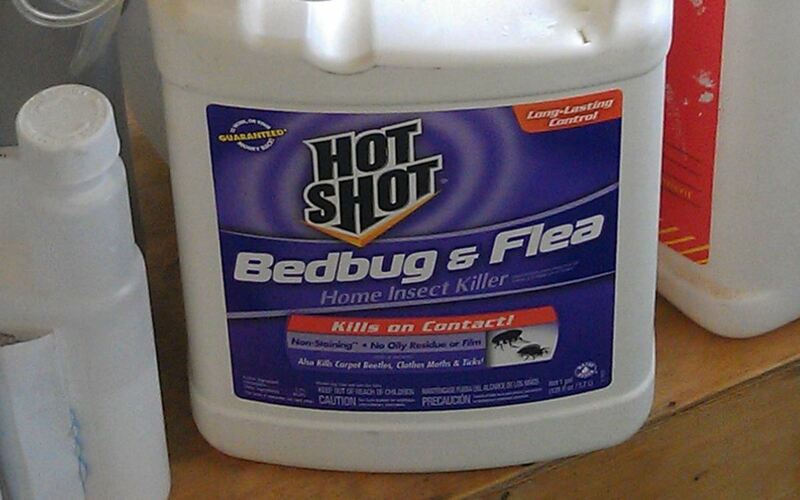 bed bug and flea and lice There is a spray at Lowes called Bed Bug and Flea that works great at Fleas and Bed Bugs . 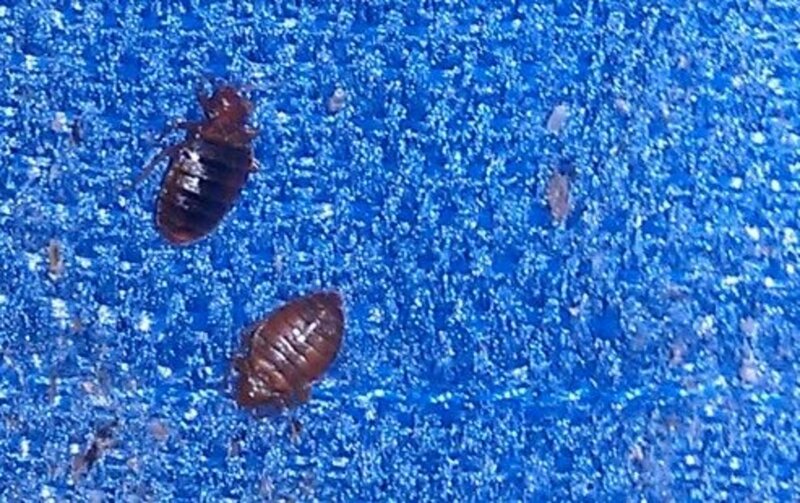 What bed Bugs look like is they are kinda round and flat . But the only time they usually come out is at night . Bed Bugs can move fast but they can't fly only crawl.That spray will kill them all Bed Bugs and Fleas on contact but you will want you animal out of the house for 4 hours while it drys.The spray only cost about $ 10.00 it is not alot consider a professional which would be over a few hundred.I never went throught like no sleep went through but I did sleep in my lazy boy that was infested with Bed Bugs and got no sleep.The Bed Bug will follow you where ever you try to sleep.Take it from someone who went through a Bed Bug problem. You will want to wash all your clothes in hot water to kill the Bed Bugs besides washing clothes never hurts. Thank you for taking the time to post this.... I've had THE worst time with this and I've lost 80 lbs in the battle of constant vacumming, wiping with vinegar solution, having my cats groomed with dawn, (900 dollats so far) hired exterminators (600) but they just trickled along baseboards?? Not helpful!!! Hired new external (325) n they DID go under tables n furniture etc... still... I have fleas???? They hide under tables n in the sofa etc... I knock them down by wiping everything w my vinegar solution then vacumme like crazy w a hepa canister vacumme. I have mainly tile floors.... they also get into the cracks of my windows. I'm going to pull down my huge paintings n see if they r hiding there.... I just don't know where else they r hiding out??? I'm still seeing them??? I wash their bedding three times a day!! And mine. My laundry room is infested n I keep,doing the précor to kill them their. And I've used the DE human grade powder. I'm exhausted..... I'm having a new dryer hose put on as it's leaking n I'm wondering I'f fleas r leaking out when drying flea towels?? The lint has spread into my house n fleas love lint n dust. I'm having my vents cleaned too n my evaporator coil to get the humidity way down to help rid them. Thank Jojo for your tips!!! Forgive any misspellings I'm partially blind... thank ykunagain!!!! For some of the comments about not sleeping/them attacking you more severely than they should be - it's possible that it's scabies in addition to fleas, particularly if being cold (e.g. cold shower) helps and it's more itchy at night than it is through the day. Many doctors won't actually notice them as they turn up as tiny dots (they look almost like black head pimples) between the webbing of your fingers and on your hands in general as this is where they enter your skin. 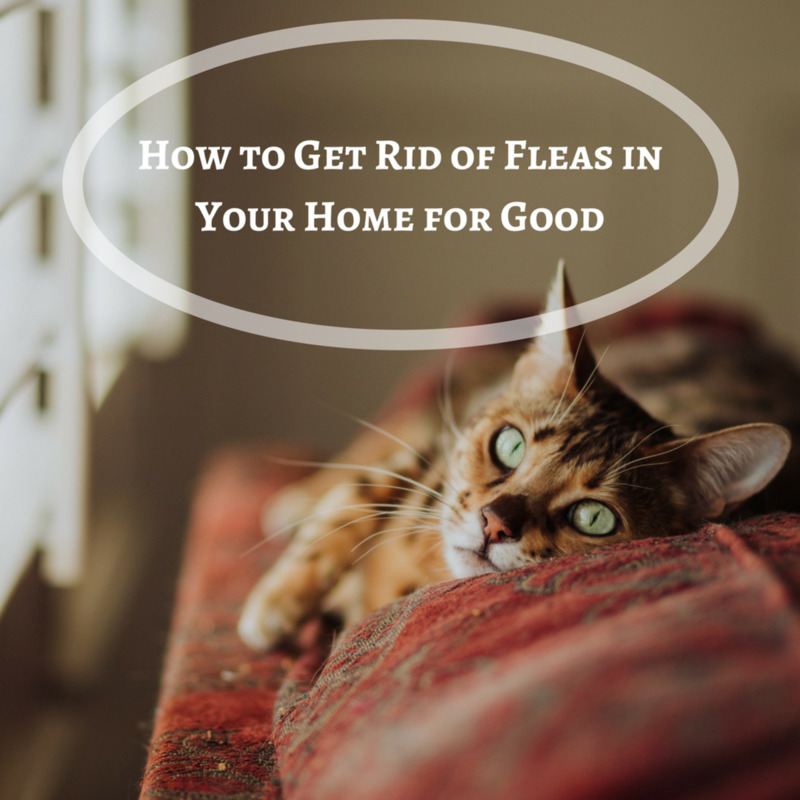 If you find you are affected by this there are lotions available at pharmacies and you'll also need to follow many of the home cleaning tips for flea removal (washing exposed material at high heat with certain cleaners, etc) to help be rid of them completely. Hi, a flea comb won't really get rid of them, but it will definitely help you determine what is in the cats fur. The cat will enjoy the brushing too. But because of a flea's life cycle you'll need more than a comb. Hope that helps. I usually find it on Amazon, but I'm sure adv 2 will work, just follow the dosing exactly. All these chemicals are very hard on our pets. Good luck to you. D.E. is excellent! 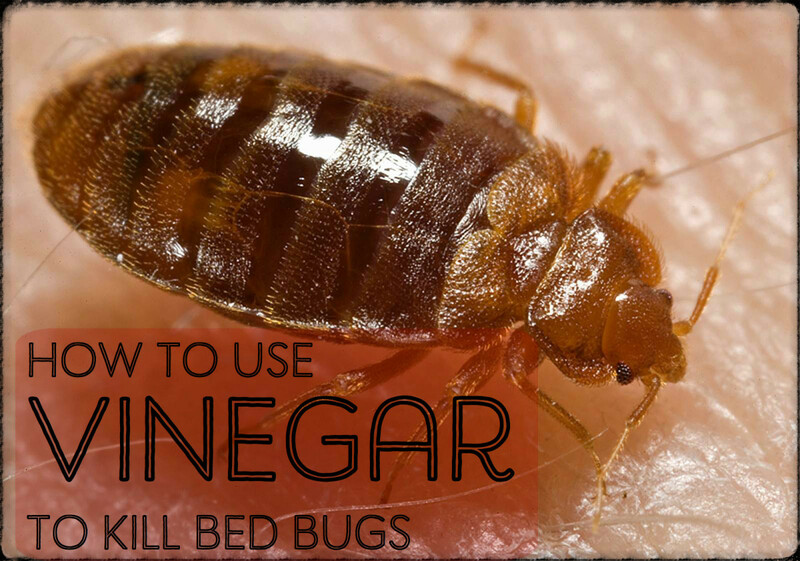 I've luckily not had a bed bug issue before, but will use it for that if I ever do. I'm glad you got rid of them. I cannot find advantage plus anywhere I found advantage 2, will that work? Hello. Would it be safe to use the sentry tablets and advantage plus at the same time on my cat? I've had bed bugs. 1000 times worse than fleas. I found that using a chalk line sprayer bottle (the kind used in construction to mark lines on wood to cut, work great applying the diatomaceous earth. It's a small bottle with a spout you can squeeze to distribute powder. Had to wrap all our mattresses on plastic and treat that everywhere. I wouldn't wish bedbugs on my worst enemy. They truely are the final circle of hell! guys, please, find yourself some food grade diatomaceous earth, and take a dust bath in it, rub down pets and sprinkle it on carpets and anywhere there is a problem. it has taken care of the fleas, the bed bugs, and the lice my kids brought home from school. there is a way. save yourselves. i bought mine on ebay. I lost one of my sweet boys on June 26, I no2016. He was 10 years old and always very robust and healthy. When he was younger he loved the outdoors and would come and go as he pleased. We moved to an apt for the last 6 years and I kept him indoors. Last summer we had a problem but I was able to control it. We moved to a house in March and he was so happy being in the backyard. It rained here for a month and it seems like after that the fleas got vicious. We have 4 cats and they all got sick around the same time. I thought they had gotten into something in the garage. My Romeo would always come in to my room to wake me up for breakfast for everyone and that day he didn't come in. He was so lethargic but I thought if we could just get those fleas off he would feel better. I took him to the vet since he was the sickest and had to leave him overnight because they had almost sucked him dry. The next morning he was doing better and but then he started going downhill and died that night at the pet hospital. The vet said he had bone marrow cancer and that the fleas took advantage of his situation. I was devastated. He never acted sick and he was always taking care of the other cats and me. I still think the fleas killed him but since he did have the cancer at least he didn't suffer long. I have been washing and spraying everything I can get my hands on and I refuse to lose to these bloodsuckers. we are still having issues but the other cats are feeling better. It just takes that much more time to do chores each day to fight them. This has been such a horrible experience but I will not let them win and lose another baby. I will also never let them outside again. I think that may have been why they were so bad and I am still trying to figure out what works best. I'm ready to start the homemade remedies because all the expensive stuff kills some but has not been fully successful. We were bathing our cats in Ivory dish soap, works wonders and they smell so good. SPCA told us this method. Then we bought Advantix for 1 large dog and spread it out amoung 5 cats. Also from the SPCA. Amazingly no more fleas and our babies are thriving. We had an infestation of sand fleas once, I believe that's what killed my dog. They were everywhere! We are in a rural area. I bought a yard treatment that sterilized the hatchling as they hatch, every 10 days we attached it to the waterhose. We set up those diy flea traps with Dawn water in a clear dish and a white piece of paper under night light. Treated the dogs with Comfortis. Sprinkled borax and Seven dust throughout the house and left it there as we had no carpet. And ain't nothing wrong with washing in Dawn dish soap, especially if you moisturize with coconut oil. There was also an insect killer called Demon that we used, but carefully. Then we were told of an old home remedy involving a local bush called MercleBushes. We were told that animal in the wild will bed up under these shruby little weeds and it keeps the fleas away. We walked the wooded areas and chopped some and put them under all the beds, couches, chairs and up against the house on the outside. We finally rid ourselves of those horrible buggers! We are in the deep south. Good luck And remember, Prymethian(? ), a dog flea treatment, Is deadly for cats so use caution. This is an interesting article, and helpful too. As a vet tech, I'm asked almost daily how to get rid of fleas. The number one thing to do is get ALL of your pets on a quality preventative and stick to it religiously! You can do all the DIY treatments in the world, but you'll never get anywhere until your pet is on a flea preventative. People also need to understand that when getting rid of fleas, it takes MONTHS for them to all go away, because you have to kill each and every generation of fleas. This takes TIME. I could rant for days on the importance of just getting your pets on preventatives and sticking to them. Shaye and No Sleep, do you guys think it could be bed bugs? I've never heard of fleas the way either of you have described. If this problem is indeed fleas, you need to get Precor IGR and continue everything you are doing until the issue is gone. I'd also talk to a doctor about everything you've described, and I hate to suggest this, but have you talked to a doc about possible Schizophrenia? Sometimes symptoms can cause delusions, especially those involving bugs. I'm not saying this is the case, I've just not heard of all that you're describing. My flea war was very bad, managed to kill 2 of my cats, but in 3-4 months it was under control. Also get a jar of organic coconut oil, you can put this on your dog, and you can also eat 1-3 tsp a day to help with the symptoms you're describing. FOR THE LOVE OF HUMANITY, SOMEONE PLEASE, PLEASE HELP ME! HELP ME!! - Put Boric Acid on the carpet in my room, allowing it to sit for 10-12 hours. I STILL HAVE A MAJOR PROBLEM! They are in my hair, nose, ears, eyelids, eyebrows, and I can feel them job off of me all over my body. In the mornings and at night, I rub down with Off Spray to help calm it down, but apparently they are getting resistant to the spray because it does not work like it used to. I have not had a sound night’s sleep in years! At this point I don’t think I will ever get rid of my problem, and I’m willing to bet that any suggestions provided will probably not work.